The ‘European hydrogen and fuel cell roadmap’ introduced by the Euro­pean Commission considers hydrogen as the most feasible solution to achieve independence from fossil fuels. However, currently hydrogen pro­duction employs fossil fuels (i. e., natural gas), and therefore has the undesir­able side effects of the use of carbonaceous materials. For this reason, the European roadmap (Fig. 20.18), which covers a timeframe until 2050, estab­lished the activities and strategies that should be supported for the develop­ment of the technologies for solar hydrogen. The main objective is to focus all efforts towards the determination of the most promising paths for renew­able hydrogen production and to motivate politicians and encourage the private sector to invest in a clean and renewable future based on hydrogen (Meier and Sattler, 2009). One of the most promising technologies for large-scale solar hydrogen production is, as mentioned above, the use of solar thermochemical pro­cesses based on concentrated solar power. There are numerous research groups around the world who are investigating different pathways with the aim of unveiling all possibilities and condensing the knowledge around solar hydrogen. 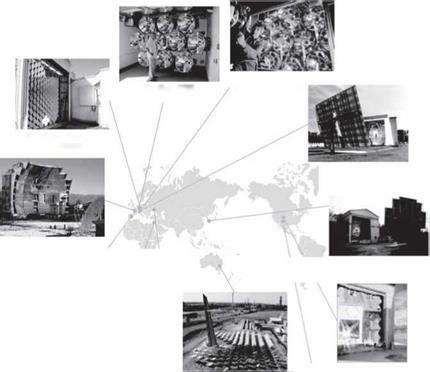 Figure 20.19, reproduced from Meier and Sattler (2009), illustrates several solar thermal facilities around the world that are active in the area of concentrated solar thermochemical research. A European Union-funded project with the acronym INNOHYP-CA that was completed in 2006 created a roadmap of the thermochemical pro­cesses for massive hydrogen production with the use of solar or nuclear energy (Fig. 20.20) (Meier and Sattler, 2009). Three phases were set for the development and, consequently, commercialization of the most promising technologies. In the first phase, which runs up to 2015, technologies that are considered as an intermediate step towards completely renewable solar hydrogen pro­duction (such as solar steam reforming, solar carbon gasification, solar ZnO carbothermal reduction), are going to be demonstrated at the pilot scale. In the second phase, due to be completed by 2020, pilot-scale demonstra­tions of the most promising carbon-free thermochemical processes are going to take place. The third phase, which lasts until 2025, will focus on the improvement and demonstration of the zero-CO2 processes that are proved to be economically feasible. 20.18 European hydrogen and fuel cell roadmap (Meier and Sattler, 2009). 20.19 Solar thermochemical research around the world (Meier and Sattler, 2009). of improvement of the existing concentrated solar facilities to be able to accommodate the thermochemical technologies that are developed. In the case of material development, there are several challenges that need to be overcome, such as the manufacturing of materials and components that will maintain their reliability under ‘unfriendly’ conditions (high temperatures, corrosive environment, etc.). In the case of solar facilities, the aim is to find a feasible way for the successful integration of the new technologies in the already existing solar infrastructure that would be upgraded and efficiently used (Meier and Sattler, 2009). The latter would be essential for the evalu­ation of the thermochemical processes on a large scale. 20.20 INNOHYP-CA roadmap for massive thermochemical hydrogen production with the use of solar or nuclear energy (Meier and Sattler, 2009).